Support Seekers is an online support group where members can share personal problems in an anonymous and safe forum. During different stages of life we can have stressful situations that aren’t being resolved. These can be big or small problems, or even personal emotional concerns that we need help with. Once you join, you can get helpful support, objective advice, encouragement and feedback from others who may have had similar experiences, are neutral and non-judgmental. Plus, every day our counseling psychologist will post professional recommendations regarding each issue posted – which is in effect free expert help. 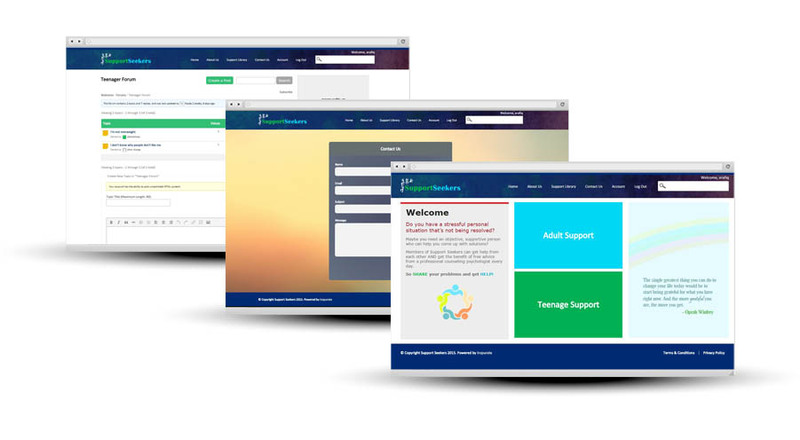 At inspurate we designed and built the Support Seekers website on a PHP/MySQL based framework using the WordPress engine on the back-end for content management.